vast aire VIDEO New Video: Vast Aire (of Cannibal Ox) “Solomon’s Temple” & FreEP Download "Live From The Aireport"
New Video: Vast Aire (of Cannibal Ox) “Solomon’s Temple” & FreEP Download "Live From The Aireport"
VAST AIRE of Cannibal Ox returns with a free digital music release titled Live From The Aireport. The seven song EP is a collection of new music, showcasing VAST AIRE’s unique style and rhymes paired with various artists and producers. In celebration of the project, IGC Records presents the official music video for “Solomon’s Temple”, paying homage to classic animated shows like Voltron, Thundercats, Silverhawks and Masters of the Universe. The track features Vast Aire, Kenyattah Black and COSMIQ on production and was premiered today by HipHopDx. 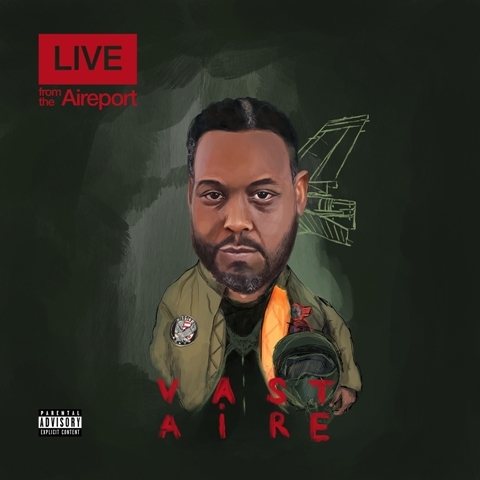 VAST AIRE & COSMIQ’s collaborative project, Aireplane, will be released in 2019.